"The main purpose of astrology is not to predict events in terms of statistical probability, but to bring a message of order and meaning to your personal life, your struggles, and your joys"
Steven Shroyer, founder of Seattle Astrology, is offering advanced esoteric astrology readings that are life affirming and possibly life changing. He is a gifted world-class astrologer who will help you understand your intuitive gifts of happiness and how to harmonize your deepest desire for personal fulfillment and life purpose. Schedule a reading to learn how your Cross of Dharma and Gate of Intuition can function to give you a deeper understanding of your life with a clear vision of your future. Learn about your most significant Past Life and how knowing this profound information flows directly into a deeper understanding of your current life patterns. To schedule an astrology reading with Steven, or for more information, visit the Astrological Services Page. Tuesday's New MOON comes only 4 days after the Fall Equinox (known as "The Western Gate" in esoteric thought). This current New MOON presents you with a wonderful opportunity to feel a deeper connection to the Universe and all of humankind. 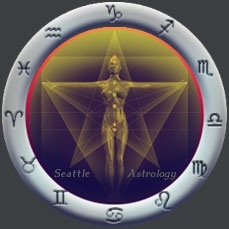 Copyright © 2010-14 Seattle-Astrology.com All rights Reserved.